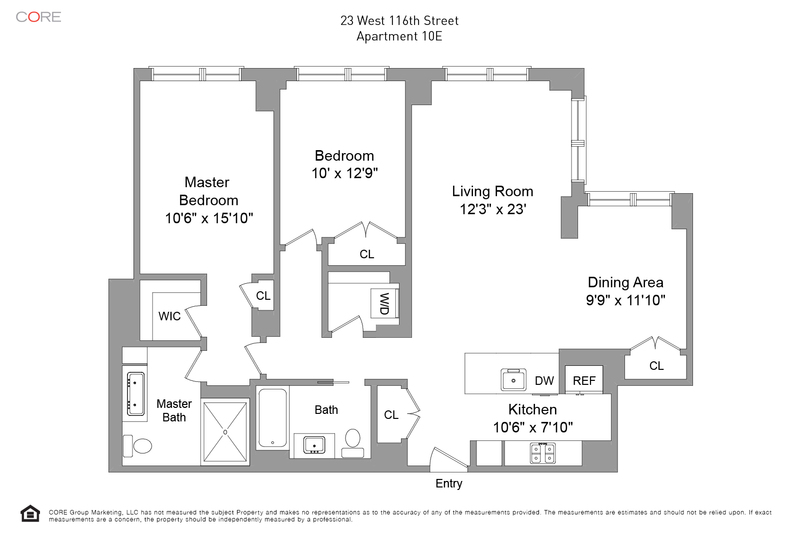 This sun-filled, 2-bedroom, 2-bath (easily convertible to a 3-bedroom) approximately 1,300-square-foot unit is located in the Adeline condominium, a new full-service building located in the heart of Harlem. The apartment faces south and west with open city views through floor-to-ceiling windows. The open kitchen has custom white lacquer cabinetry, Caesarstone countertops and backsplash and appliances by Bosch and KitchenAid. 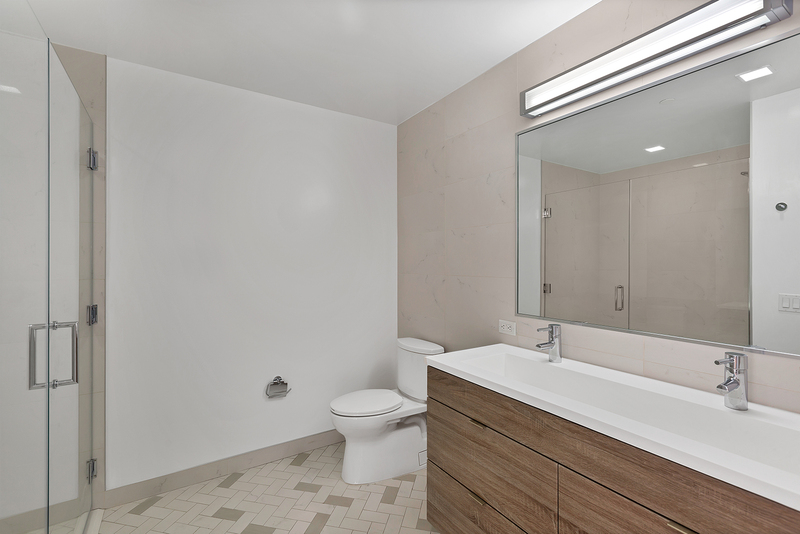 The master bath has double sinks, a walk-in shower with a Grohe rainfall showerhead and hand shower as well as a herringbone patterned floor and plenty of storage. The second full bath has a tub, Roman wall tiles and chrome Grohe fixtures. The in-unit washer/dryer is located in a nice sized laundry room. Wide plank European white oak floors and substantial closet space including a sizable walk-in in the master bedroom complete the space. 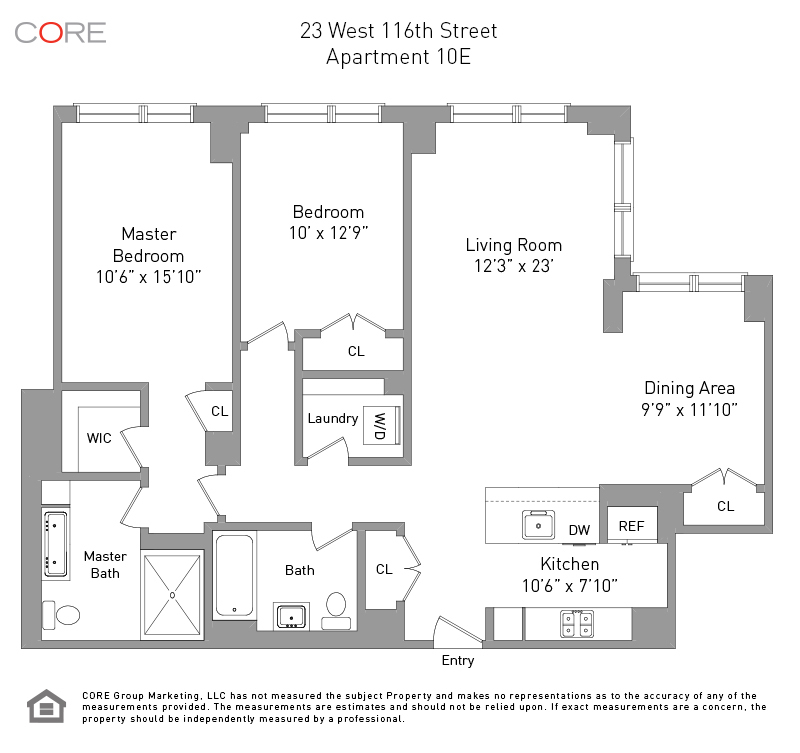 The Adeline is centrally located in a vibrant neighborhood near public transportation and neighbors Central Park, Marcus Garvey and Morningside Parks. There is a 24-hour attended lobby and a cold storage/package room as well as a live-in super. The many amenities include a children's playroom, gym and residents lounge, as well as a huge landscaped second floor courtyard and a large roof deck. For an extra fee and on a limited basis, on-site parking and bike storage is also available. Located a half block from the 2,3 train and a short distance to the 6 as well as the B,C lines and on the M116 and M102 bus lines, transportation couldn't be easier.